Use the Liquid Chisel Brush to apply Air Perfection Foundation all over the face. Use the Blush Brush to dust Universal Marble Mineral Powder in Pink on cheeks. 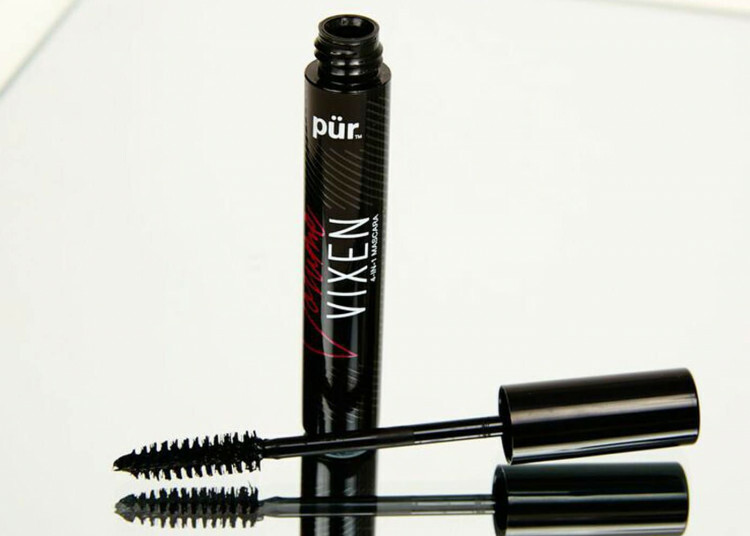 Add one coat of Volume Vixen Mascara to lashes. Coat lips with Chateau de Vine Mineral Lipstick in Smooth Talker. Set look with Balancing Act Oil Control Powder. Use the Chisel Brush to dust 4-in-1 Pressed Mineral Makeup over Air Perfection Foundation for matte coverage. Use the Blush Brush to dust Universal Marble Mineral Powder in Pink on cheeks.Fill in brows with Browder Perfecting Brow Powder. 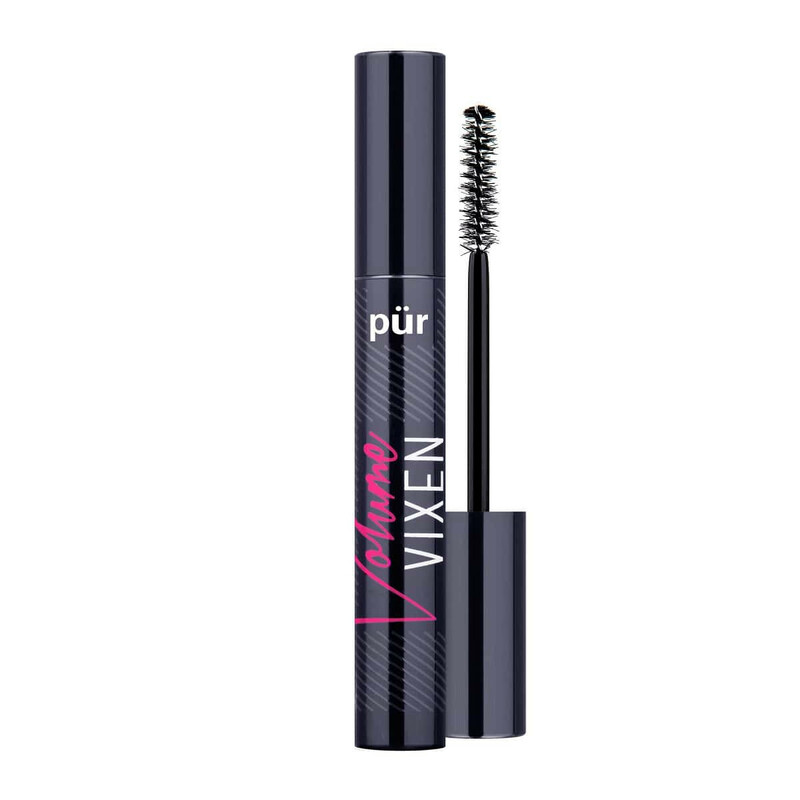 Add two coats of Volume Vixen Mascara to lashes. Saturate lips with Lip Lure Hydrating Lip Lacquer in Fiery. Please never discontinue this product! This is the only mascara in the world that doesn't irritate my eyes and that I can wear with contacts. NO flaking at all, no running, no smudging, even in this Southern humidity. I am extremely sensitive to makeup products. It stays put, though it's not waterproof. Once it dries it doesn't budge all day but it removes easily with warm water at night. It applies very long and full, maximizing length, yet looks natural and pretty. You can build it to a heavier evening look, too, easily. Please don't change this magic formula! Unfortunately Ulta has stopped carrying it, and I hope that's not a bad sign. I have tried so many mascaras over the years and this hands down is THE BEST holy grail product. I always come back to it and regret that I ever stray in the first place. I have recommended it to so many friends and they all love it. Please never get rid of this mascara! I am planning on being a life long user! While i was waiting for my charged mascara to come in i had this to use. 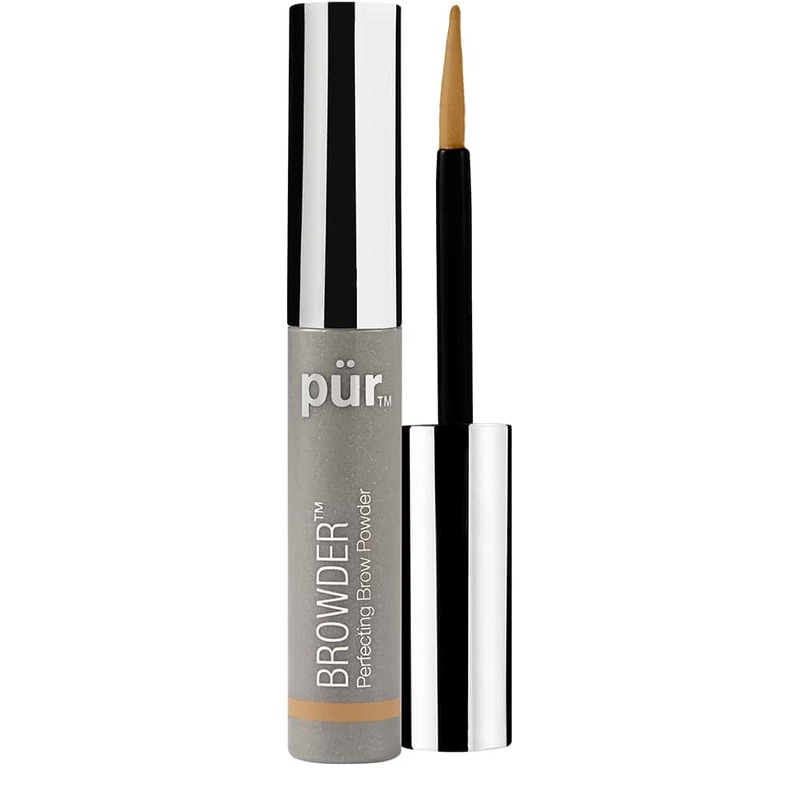 This is a great everyday wear mascara and clumping is minimal! Love it! This mascara is perfect from the first use—no clumping. Lengthens lashes and makes them fuller without smearing. Absolutely love it! This is a great mascara. It really filled in and lengthened my very skimpy lashes. I would definitely recommend it. This mascara does a great job of making it look like I actually have eyelashes (they are blond and sparse), with very little smearing or flaking. Wish it came in brown as well as in black for a more casual look. This came in a mystery bag purchase I ordered in May. I was very happy with it so far. 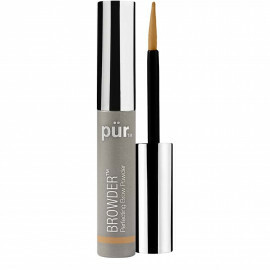 I had not used one of Pur Cosmetics Mascaras so it came in handy. I liked the wand design. The way the tip is it helps to coat your lashes with mascara and separates them. I didn't have any issue with clumping or sticking. I also found it easy to remove at the end of the night. Best mascara I've ever tried! This is my favorite mascara of all time. I've tried hundreds over the last 25 years, and this one gives me everything I want. My eyes are exceptionally sensitive, and almost all mascaras burn when I remove them. When I remove Volume Vixen, I don't feel a thing! It's amazing. I see the product on my cloth, but I feel no burning. It's never too wet, it gives me length and fluttery volume. The wand shape allows me to apply it very close to my lashline without smudging on my eye lids, and it never clumps. It's too bad that the price isn't lower because I'd love a less expensive product, but I'm willing to pay what it takes to get this kind of result. Ordered 2 different mascaras and of those 2, this was my favorite. Glides on smoothly and does not leave clumps. Easy to use spoolie. This is the best mascara I have ever used. I have very thin lashes and this makes them look incredible. Buy it you will love it. Does a great job lengthening my lashes! My eyes are very dry and sensitive. I have struggled over the years finding a mascara that doesn't bother my eyes, flake off or smear under my eyes by noon. I got to a point where I completely gave up on wearing any at all. I have been using this mascara for a week now and my eyes have not been effected whatsoever. It stays put & doesn't flake. I am very impressed. Miracle product! Best I've ever used! This is an amazing mascara, I've tried many mascaras and this has been the best mascara I've ever used! I love love love it! Definitely going to buy again! 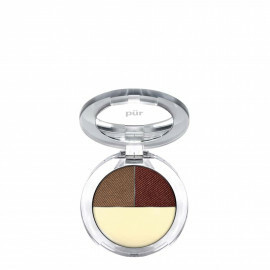 I was so impressed with this product, the qualities amazing! I get compliments on my lashes all the time now that I wear it! It doesn't flake on my face. It makes it look like a curled my eyelashes (I never curl my eyelashes)! Stays all day! It doesn't even clump on my lashes! It always distributes evenly amounts on each eye. 100/10 would reccmend! I bought this a few weeks ago and it does exactly what it says, "separates your lashes, while adding volume and length". Many people have commented on how amazing my lashes look. I'm amazed at how great this mascara holds a curl and doesn't flake/ smudge at the end of the day or after a hard workout at the gym. Awesome stuff!!! 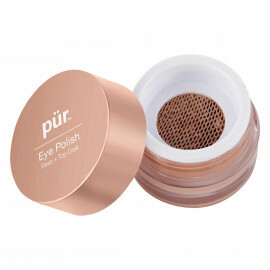 I didn't think that pur minerals could top its Big Blink mascara, but this is my new favourite. It adds the length that Big Blink offers, but this product also seems to help add more thickness to lashes without clumping. The brush is closer to what I prefer for mascara brushes (soft kind of bristles rather than the hard plastic ones on the Big Blink brush).